Two venerable manufacturers have announced new products in their lineups. 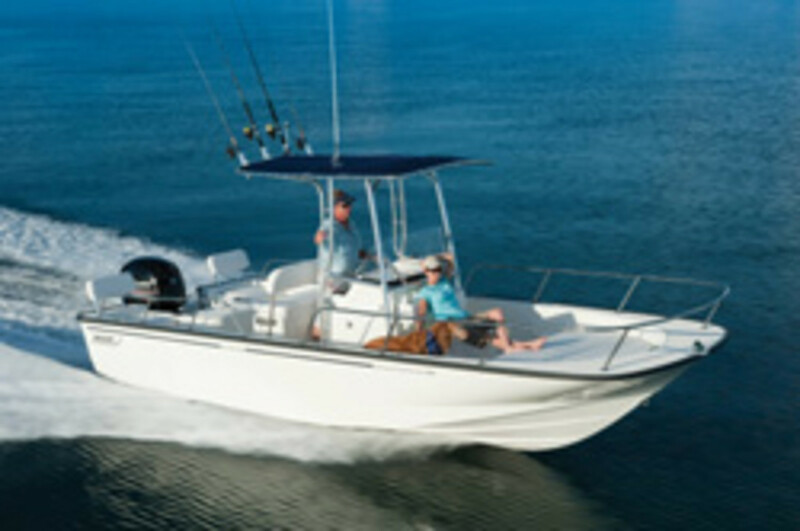 Boston Whaler is expanding its Montauk selection with the release of the new 210 Montauk. The new model enters the lineup as Whaler’s largest Montauk yet. It’s a hassle-free, hose-and-go boating experience with Whaler quality and Whaler safety in all materials and construction,” Ron Berman, Boston Whaler’s vice president of product development and engineering, said in a statement. “You get more room, more storage, an enclosed head compartment below the center console, and it’s a Montauk that will go more places because of its size and larger fuel capacity. The 210 Montauk comes in a standard boat-motor-trailer package that includes a 150-hp Mercury FourStroke; owners can opt for a 200-hp Mercury FourStroke for more power. Meanwhile, Honda Marine introduced the new BF250 horsepower, four-stroke engine, the most powerful outboard to join the Honda Marine lineup and now the company’s flagship model. The Honda BF250 marine outboard engine incorporates a host of Honda-exclusive technologies that provide increased value and benefit to consumers, the company said. “The all-new Honda BF250 marine engine demonstrates the Honda commitment to engineering a product line with unparalleled performance, power and fuel economy,” national manager Alan Simmons said in a statement. With a full-throttle RPM range of 5,300-6,300, the Honda BF250 is a high-performance 3.6 L engine that incorporates an all-new gear case and advancements from Honda’s automotive and marine outboard engine lines. Beginning in 2012, the BF250 outboard engine will be available at Honda marine dealers nationwide.